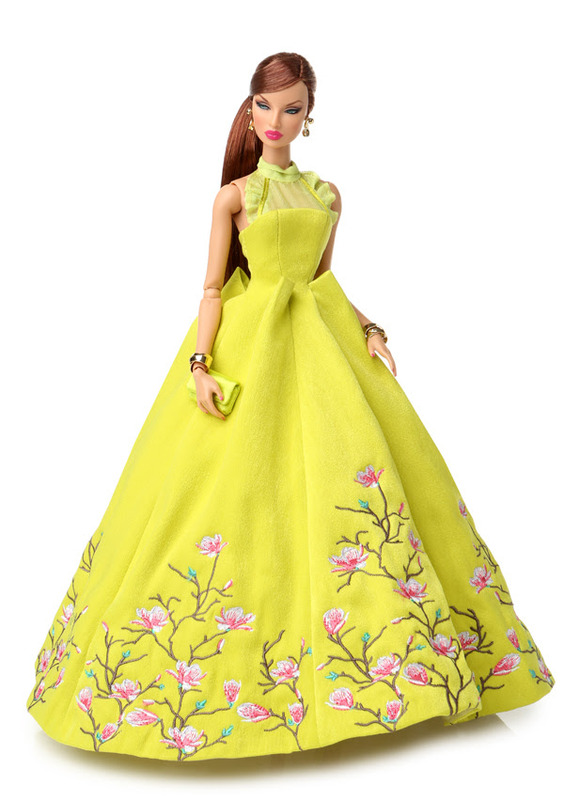 Eugenia Perrin-Frost Dressed Doll - Ruffles and Blooms - The Fashion Royalty® Collection. Eugenia Perrin-Frost™ is a 12.5-Inch completely articulated fashion doll with long, delicately fully rooted hair and hand-applied eyelashes. When this showpiece gown appeared on the catwalk at the end of her favorite fashion show, Eugenia fell in love! This exquisite gown features unexpected sculptural details at the waist, delicate chiffon ruffles at the neckline and delicate, perfectly placed embroidered blooms growing along the hem of its dramatic skirt. Once Eugenia had the dress tailor made just for her, her stylist completed her vibrant new look with just the right jewelry, purse and matching shoes to land her on all of the best-dressed lists of the season! This doll also includes a doll stand and a certificate of authenticity.